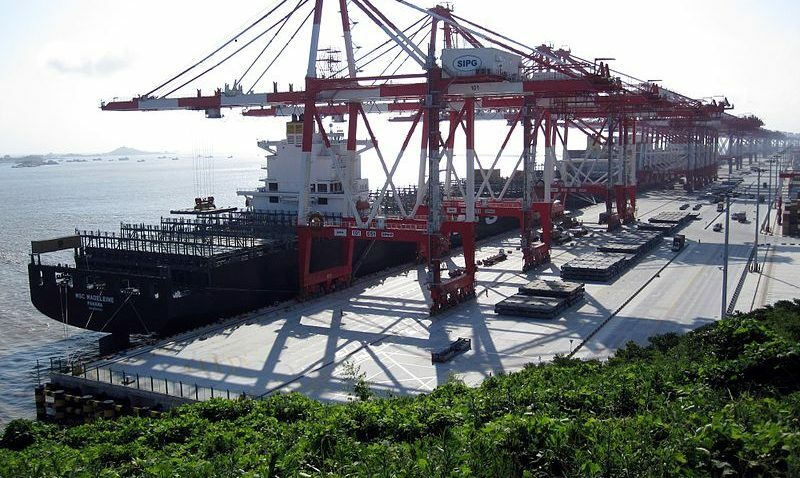 The Port of Shanghai is managed by Shanghai International Port which superseded the Shanghai Port Authority in 2003. Shanghai International Port Company Limited is a public listed company, of which the Shanghai Municipal Government owns 44.23 percent of the outstanding shares. During the Ming dynasty, what is now the city of Shanghai was a part of Jiangsu Province (with a small part in Zhejiang Province). While Shanghai had become a county seat in the Yuan dynasty, it remained relatively a small town. Its location at the mouth of the Yangtze River led to its development as coastal trade developed during the reign of the Qianlong Emperor in the Qing dynasty. Gradually, the port of Shanghai surpassed the port of Ningbo and the port of Guangzhou to become the largest port of China at the time.